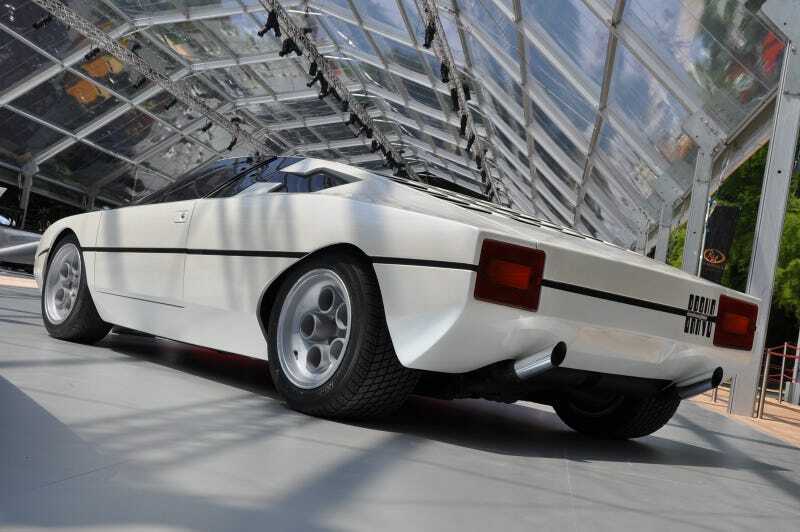 Bertone's wedge-style design reached its apotheosis with the Lamborghini Countach. Which was itself a dramatic leap from the elongated and unbalanced design of the Urraco/Jalpa and seems almost magical until you consider this — the Lamborghini Bravo Concept. It's the forgotten link and an absolute, if slightly incomplete, masterpiece. The angles of the car are even more stark when transposed against the glass roof of the building at the Villa d'Este 2011 where this car was auctioned off along other famous Bertone designs. Check out the entire photoset at formfreu.de if you're interesting in picking your ideal wedge.